2014 was a great year for English light novels. 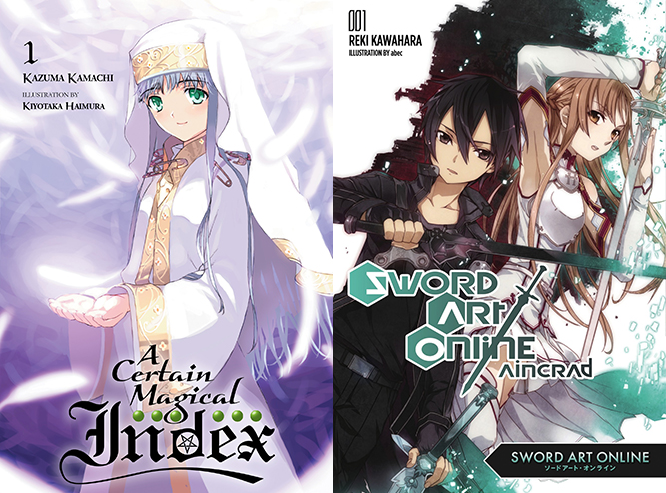 I’d say LN publishing was revitalised last year, thanks to the release of big name titles (and not just SAO and Index). I suppose this is a side effect of the oversaturation of LN adaptations in the anime industry right now. There’s no better time to get into the LNs, and I fully expect 2015 to be a lucrative year as well. First of all, they’re cheap. The translations are a whole lot better than the fan translations, and most importantly, I think the success of these titles will pave the way for more quality translations of Japanese novels. Ideally, I’d like to see more Japanese literature beyond light novels being published over here. There’s a growing potential market.